Trias began life by looking for different ways to compose cutting strips. While playing I was stuck by the strong geometric image that appeared when I just folded the fragmented strips at two places. 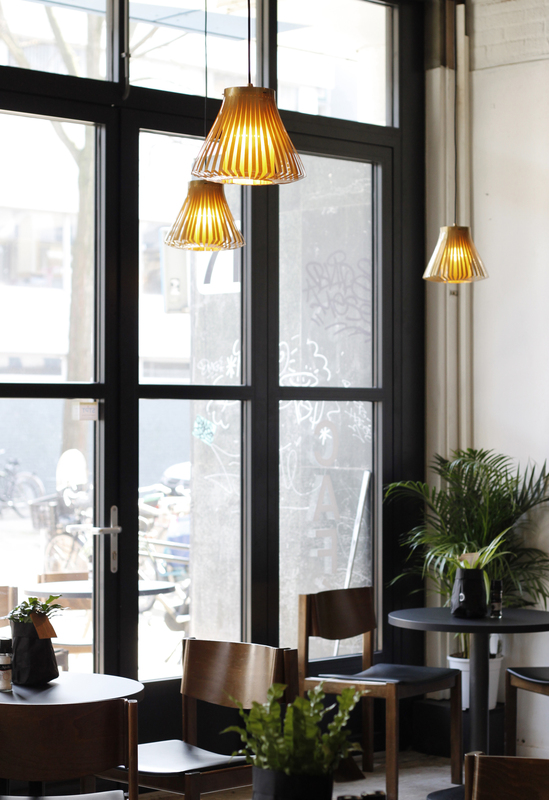 Bred into the family of lights this small pendant light has a powerful triangular shape and is suitable for down light.